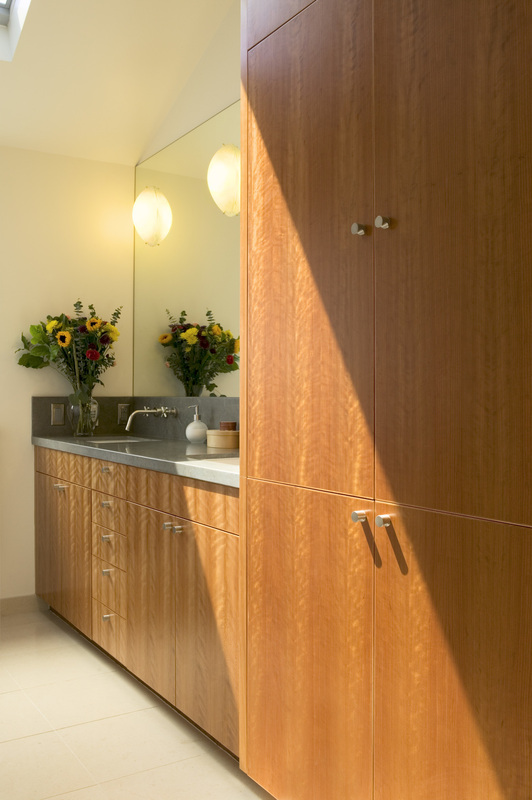 Over the years we have designed and produced many styles of bathroom cabinetry, from flat paneled modern to free standing unique vanities. Utilizing a variety of wood and countertop material. Top Row: Left to Right (1) Highly figured cherry with concrete countertop. (2) Cherry vanity accompanied by tall linen cabinet. (3) A plan view of unique powder room cherry vanity top. Middle Row: Left to Right (4) A cherry farmhouse style freestanding vanity with concrete countertop with custom steal work. (5) Modern maple freestanding vanity. (6) Free-hanging cherry wood shelves. 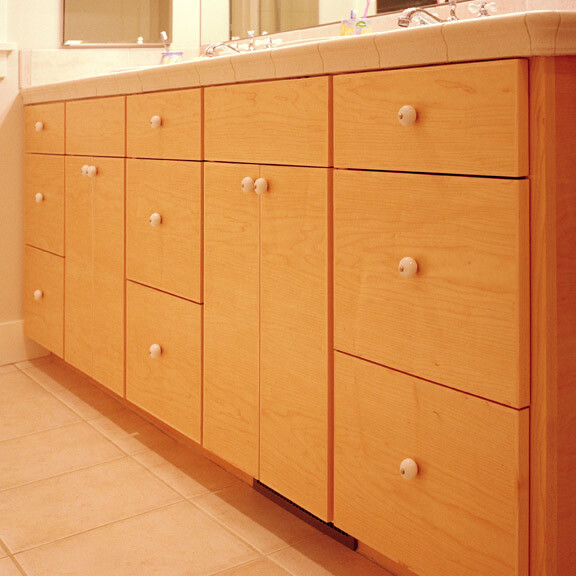 Bottom Row: Left to Right (7) Solid cherry wood powder room vanity. (8) Modern maple vanity edged with 1/8" solid cherry. (9) Modern maple vanity with continuous grain.